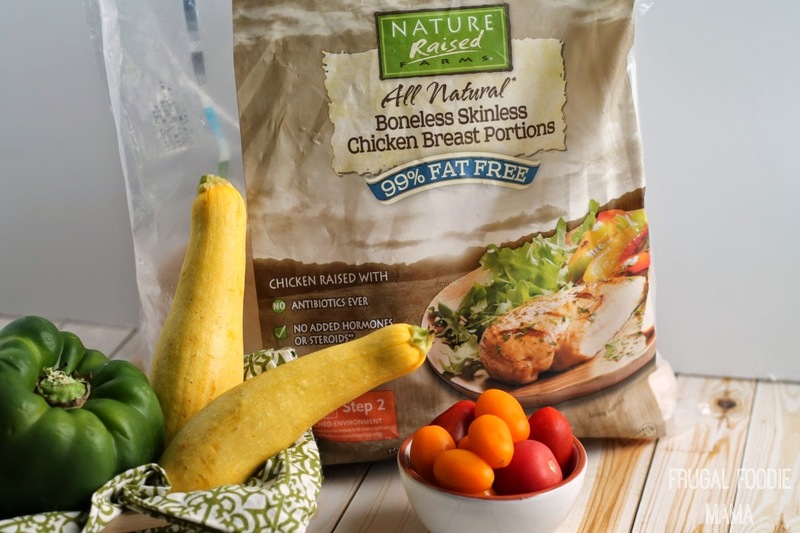 I can feel good about preparing and feeding my family NatureRaised Farms chicken because it is 100% natural*- meaning no added steroids or hormones** are used. The chickens are raised in large, open modern barns and are fed a 100% vegetarian diet. Swapping the usual frozen chicken breasts that I buy for NatureRaised Farms chicken is an easy no-brainer for me. 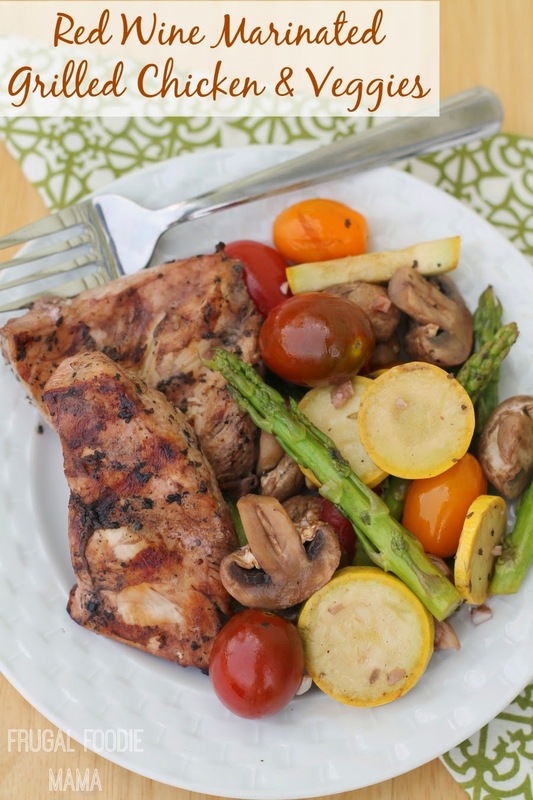 With the warmer weather here and more and more fresh vegetables becoming available, my mind naturally turns to grilling season. We are a family that loves to grill. In a small mixing bowl, combine all of the marinade ingredients and whisk well. Place the two thawed chicken breasts into a shallow container. Pour the red wine marinade over top the chicken, reserving about 1/4 of it to toss with the veggies later. 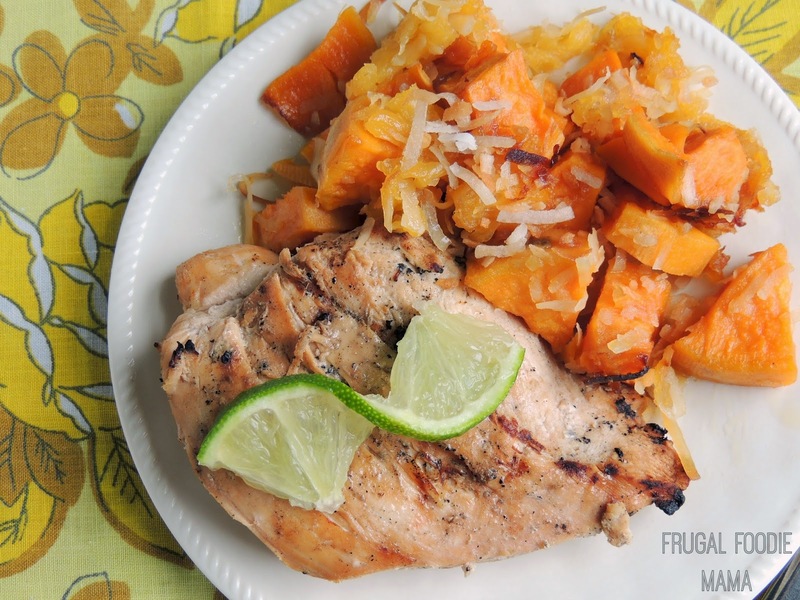 Cover the marinating chicken breasts and the leftover marinade and place in the refrigerator. Marinate the chicken for 2-4 hours in the fridge, turning at least once. Heat your grill to medium-high heat. 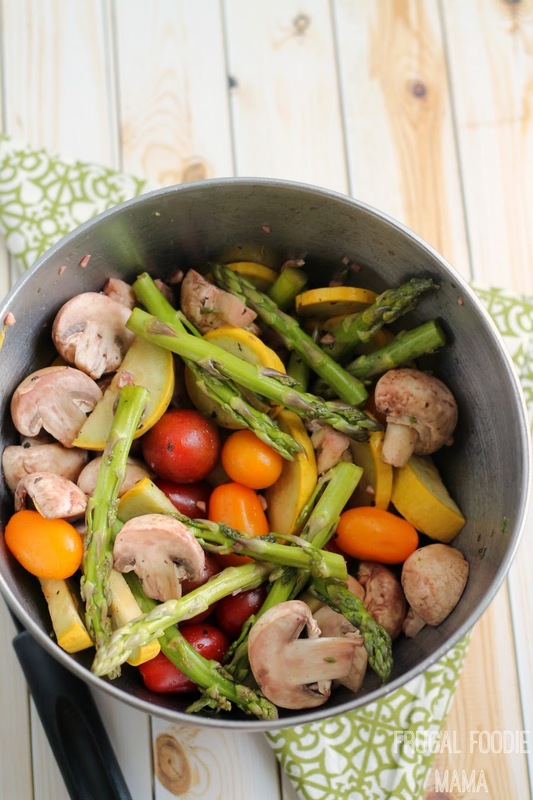 Place your chopped veggies into a large mixing bowl. Pour the reserved red wine marinade over the veggies and toss well to coat. Divide the veggies onto 2 large pieces of aluminum foil. Fold the foil around the veggies, forming a grill packet. Place the veggie packets towards the back of the heated grill. Add the marinated chicken onto the hot grill. 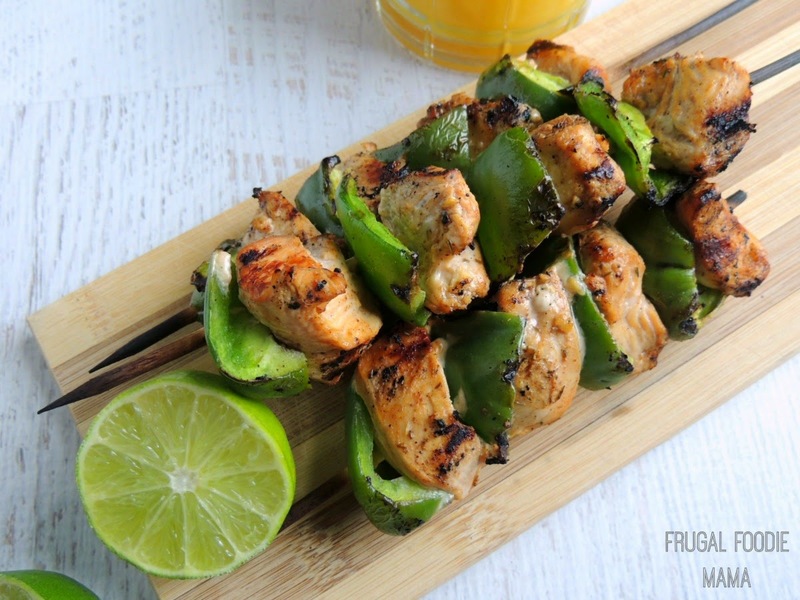 Cook the chicken over the grill 15-20 minutes, turning 2-3 times. When the chicken is cooked through, place them on a plate and allow them to rest for a few minutes. 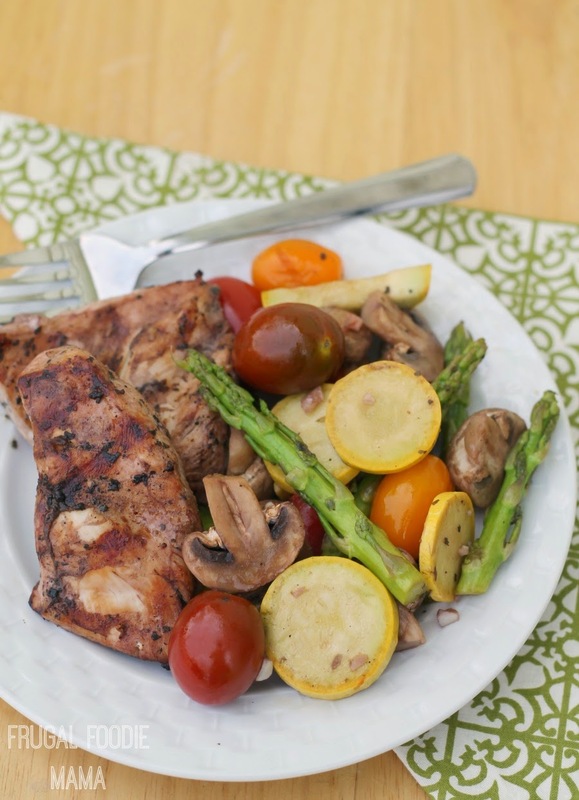 Take the veggie packets off of the grill and open slightly to release the steam. 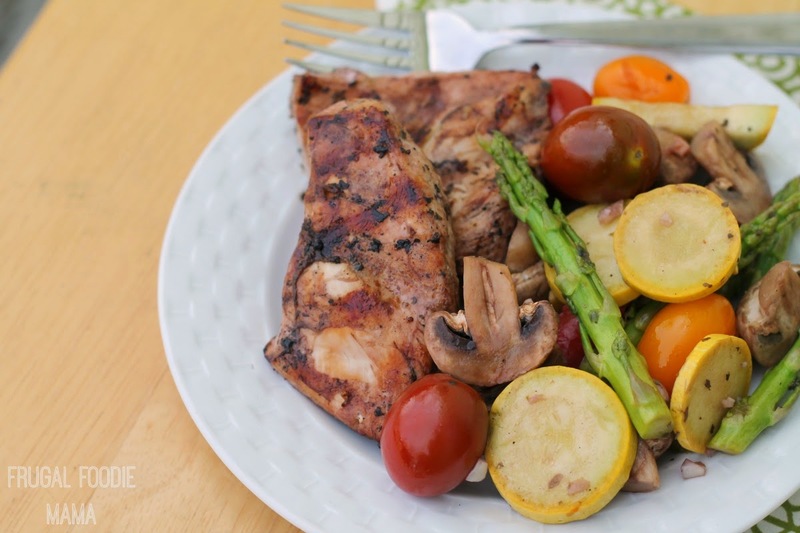 Serve the veggies alongside the grilled chicken. In which ways do you try to make healthier choices for feeding your family? What is your number one tip for making better choices at the grocery store? And be sure to follow NatureRaised Farms chicken on Facebook, Twitter, Pinterest, and Google+.